Selected because of the quality and breadth of its resources, Encyclopædia Britannica’s products are made freely available to any individual with an Egyptian citizenship card via the EKB portal. The EKB is a nationwide education initiative to offer vital education and research tools to all Egyptian citizens, regardless of their economic circumstances. Dr. Tarek Shawki, Secretary-General of the Presidential Specialized Councils in Egypt, sees Encyclopædia Britannica as a very special partner to EKB, as he believes they share the same vision for the enhancement of the Egyptian education system. He said: “Britannica has always been one of the leading companies in regards to the creation of high-quality educational resources. It is, therefore, a major partner in our mission to upgrade the K-12 education system, to serve our vision of building a community that learns, thinks and innovates. It is rather fitting that, 50 years after its first introduction in Egypt, President El-Sissi makes Britannica available to every Egyptian at no cost. As a leader in reference and education publishing since 1768, Encyclopædia Britannica’s online products promote knowledge and learning in schools, universities, homes, libraries and workplaces across the globe. 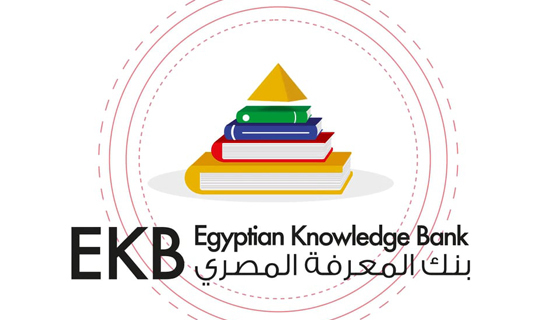 The Egyptian Knowledge Bank is one of the most forward-looking national education projects in the world, and we’re very happy to be part of it. It’s an ideal fit for Britannica, not just with our resources, but in the unique way we provide them for general use to countries around the world. Millions of Egyptian citizens have already registered for this huge digital library which includes differentiated reading levels to aid accessibility and progression, support for those with English as a second language, including Arabic translation and curriculum-linked educator-led learning resources. Britannica’s participation in the Egyptian Knowledge Bank is part of the company’s global effort to make knowledge available worldwide through convenient and affordable state-wide, province-wide and country-wide adoptions. Its work in Egypt is delivered in partnership with PanWorld Education (Dubai). Britannica’s agreements with national and local governments include The Irish Ministry of Education; Qatar Foundation; The Icelandic Ministry of Education; The Welsh Government; the Brazilian Ministry of Education; and many U.S. states. Britannica Digital Learning (BDL) provides reliable, high-quality solutions to strengthen student achievement and educators’ ability to teach to best practice. BDL experts produce curriculum-aligned resources for all ages from elementary school to college that make creative and purposeful use of technologies widely used in schools today. Products include: Britannica School, Britannica Academic, Pathways: Science, ImageQuest, and Britannica E-books. BDL is a division of Encyclopædia Britannica, Inc., with headquarters in Chicago. Posted by The Educator Magazine on October 13, 2016.